PAGASA weather specialist Ariel Rojas, however, said the weather disturbance was expected to enhance the southwest monsoon, which will bring rains in some parts of Luzon and the Visayas starting tomorrow until Saturday. MANILA, Philippines — The low-pressure area east of extreme Northern Luzon yesterday developed into a tropical depression but the Philippine Atmospheric Geophysical and Astronomical Services Administration (PAGASA) said it has a slim chance of entering the Philippine area of responsibility. 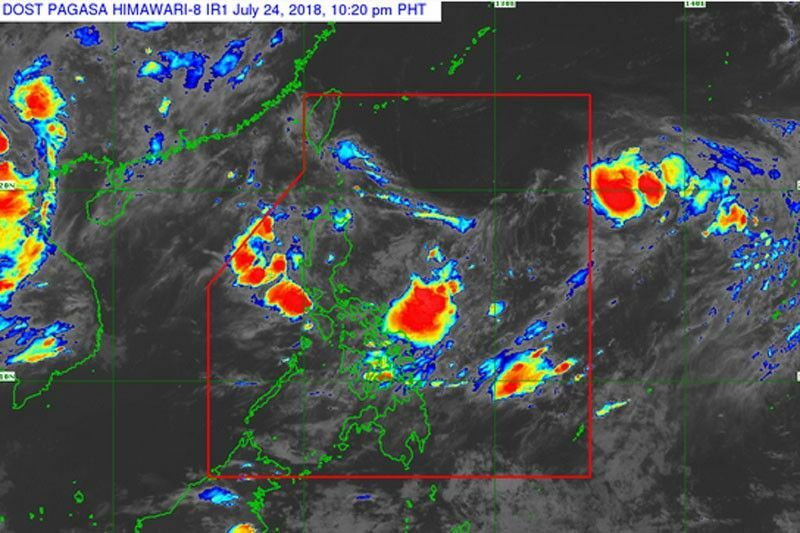 Rojas said light to moderate and occasionally heavy rains would be experienced over Mimaropa (Mindoro, Marinduque, Romblon and Palawan), Bicol region, Zambales, Bataan and Western Visayas. “We don’t expect the rains to be as intense as in the past days, although there will still be occasional heavy rains,” Rojas told The STAR. The heavy rains spawned by the southwest monsoon, which was enhanced by four successive tropical cyclones – Gardo, Henry, Inday and Josie – inundated many parts of Luzon in the past several weeks. Widespread flooding and landslides that hit Northern Luzon the past several days due to the southwest monsoon rains induced by tropical cyclones Henry, Inday and Josie have triggered 14 landslides in the Ilocos region and 16 in Central Luzon, Lt. Col. Isagani Nato, spokesman for the Tarlac-based Northern Luzon Command (Nolcom), said yesterday. Since Friday, Nolcom, along with its police counterparts, has been spearheading the ongoing recovery and relief operations in flooded communities in Bataan, Zambales, Bulacan, Nueva Ecija, Pangasinan and La Union. Meanwhile, the flood that hit Olongapo City over the weekend has receded but local disaster officials reported that previously flooded areas are still under ankle- to knee-deep mud. “The Joint Task Force Karagatan of the Naval Forces-Nothern Luzon (NF-NL) of the Philippine Navy have deployed two teams in Dagupan City and in Subic, Zambales,” Nato said. On top of this, Nolcom has deployed 67 disaster response units to the Ilocos and Central Luzon.